The lovely Jo from iCurvy has created a new blogging challenge which I thought I would have a go at. 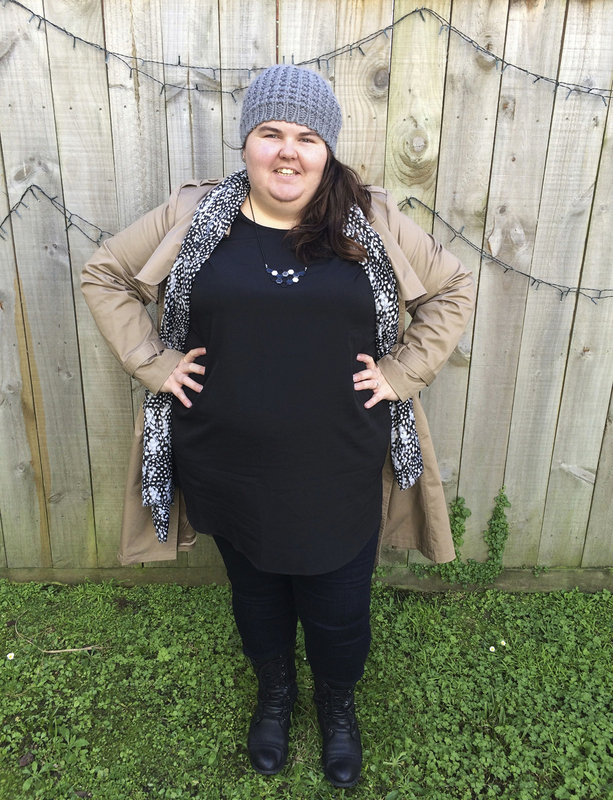 It is called Spin the Pin and each month Jo will choose an outfit from Pinterest where we take inspiration from it to create an outfit of our own. It sounded like such a cool idea, so here I am. 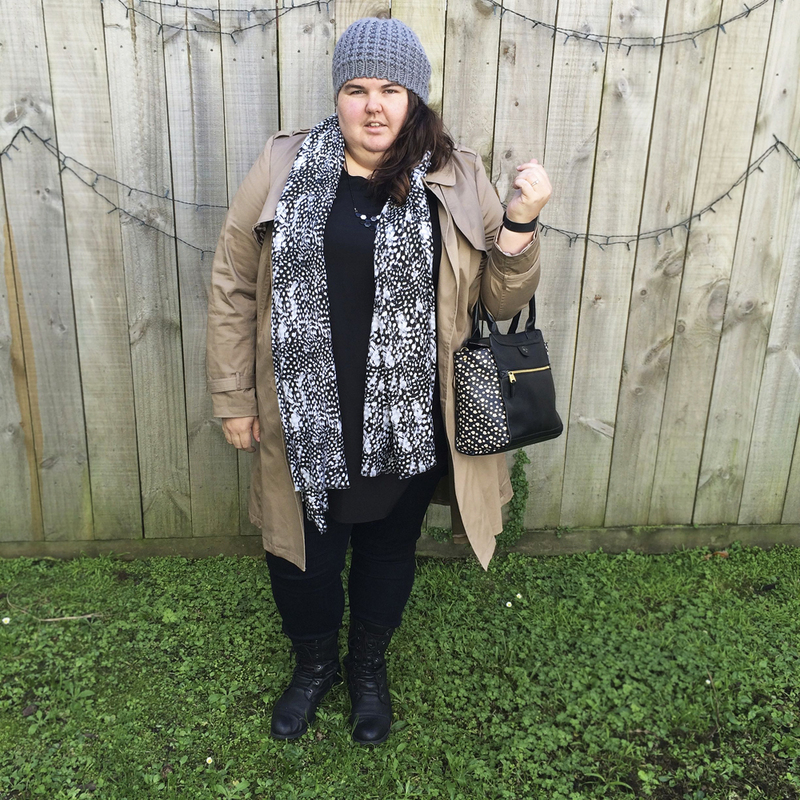 I took inspiration from the trench coat and the loose, chic layering of the outfit. I even attempted to keep a somewhat monochromatic palette. 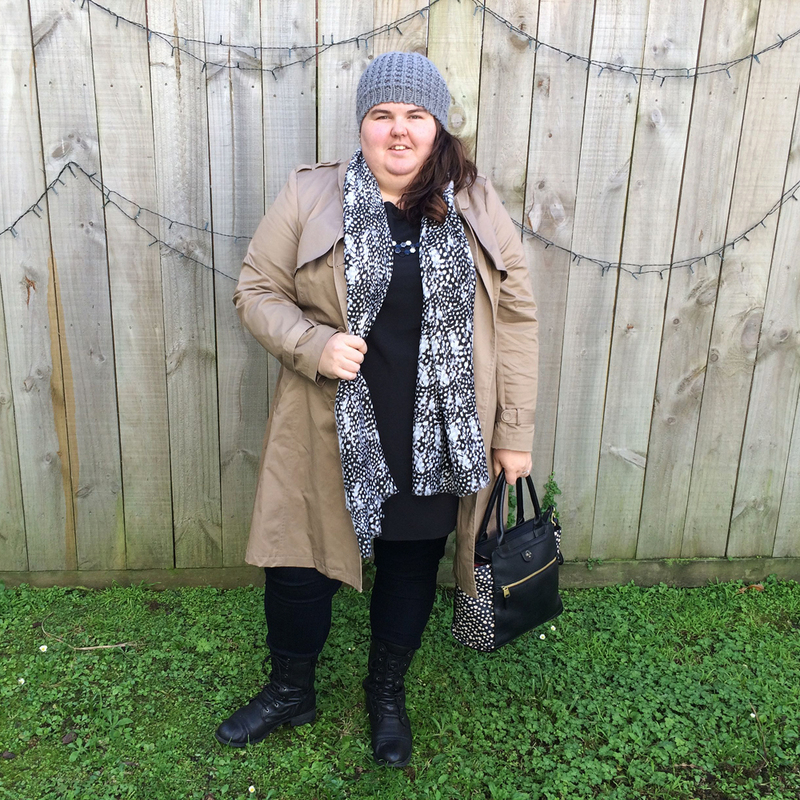 Trench: I recently picked this up in the City Chic sale. It is the Caramel Kisses Trench and I have fallen in love with it. Top: This is the New Look Inspire Longline Turn Back Tee I recently got from ASOS. 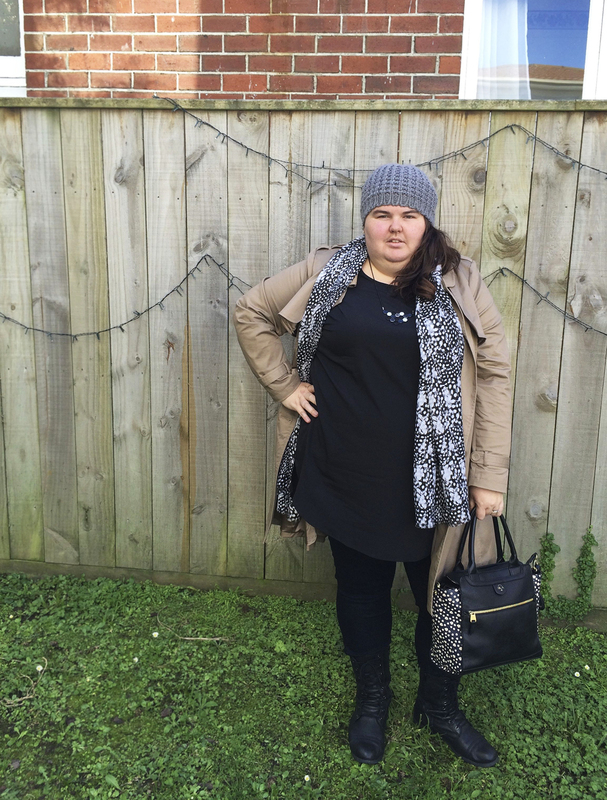 It offers a relaxed, chic look and would be great with leggings or jeans, as I’m wearing here. Jeans: Zip Me Skinnies in blue from City Chic. Scarf: Another recent purchase from Ruby Shoes. Necklace: Catch Coeur jewellery from the Rocks markets in Sydney. 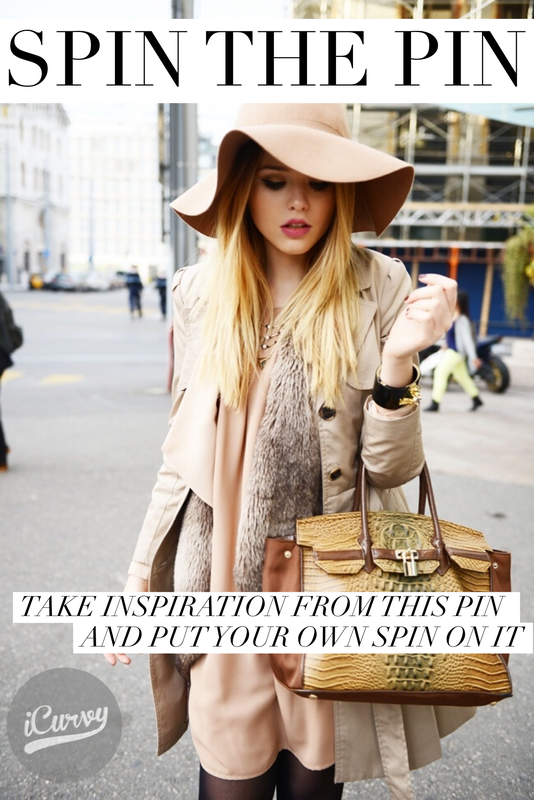 Make sure you check out the other spins here, or on Instagram with the hashtag #spinthepin. Great SPIN! Thanks so much for joining in the challenge! that trench is really great – i can see why you love it.